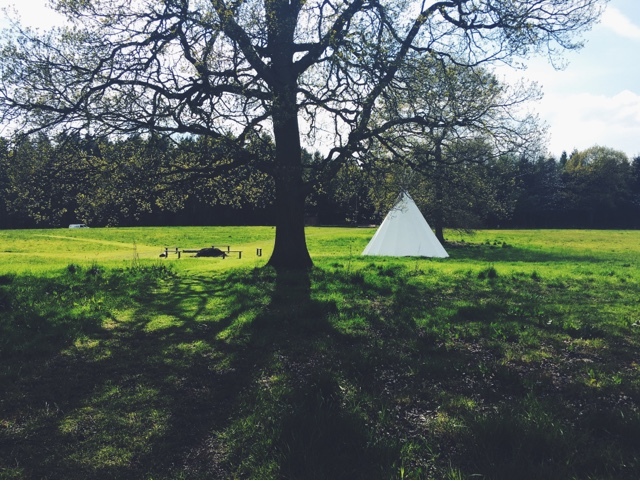 Camping is a word that draws to me memories of sleeping in tents under a much-too thin sleeping bag, my face smushed onto the firm rock beneath the grass. Clutching at zips in the dark to escape for a night-time wee. The thumping bass of nocturnal festival revelling. Having to dramatically emerge in the early hours of the morning for a gasp of fresh air, head panging with hangover. Discomfort, that’s what I think of. Yet despite the trials and tribulations, I still love it. I love the Great Outdoors. 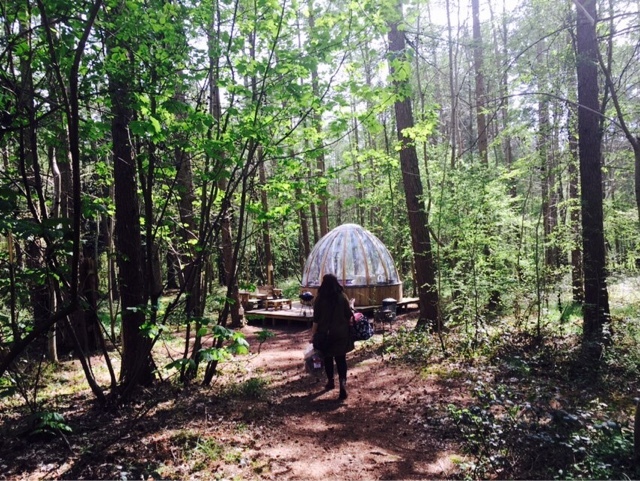 Walks through woods that follow a night of sleeping under the stars. The romantic nature of it all. 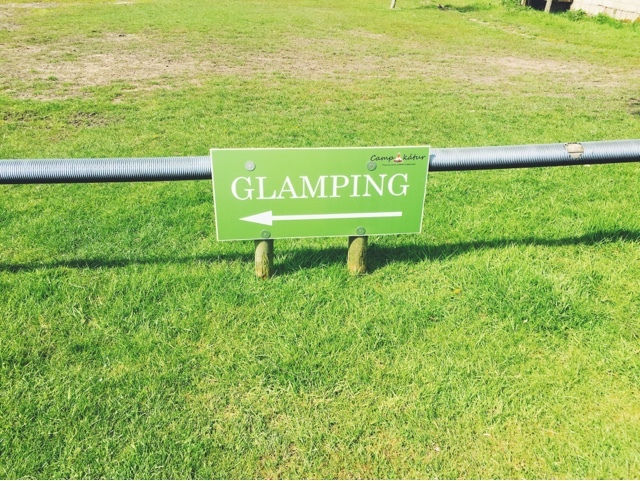 This is why, when I discovered Camp Katur – a Glamping experience inside the beautiful Camp Hill Estate in the Yorkshire Dales – I was jumping over myself to book a stay. Camping in comfort. The word“Katur” means ‘Happy’ in Icelandic, and as we arrived on a beautiful Thursday afternoon with the sunshine blazing on us, it felt incredibly apt. We literally could not have picked a better time to come, I thought, dressed in a vest top and shorts. The fields dewy with summer. 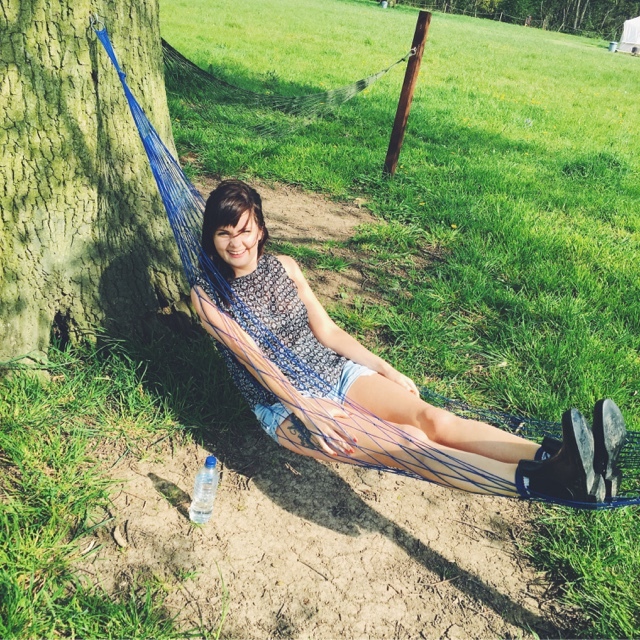 It was May, and I was still recovering from a rather wild Bank Holiday weekend. Luckily I'd had the forethought to take the week off work. I needed some time, I'd realised, to relax and rest. This would be the perfect way to do that. Whenever I can, I always love returning to the Bedale/Masham area of North Yorkshire -- it's one of my favourite places in the world. Whenever I'm within its realms I rosily remember back to younger days, riding in cars with boys, and friends, arms out the window as the warm breeze soaked my fingers. Spending weekends chasing woods and waterfalls. I'd spent the night before Glamping at my Mum's house nearby, awakening to the blinding sun on my face, and my cat nestled up beside me. 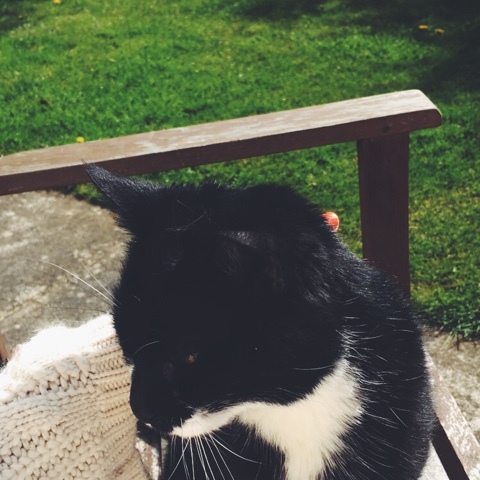 I took my breakfast outside into the back garden, and there we sat together. I'd missed these home comforts. It's funny how calming both the presence of animals and sunshine can be isn't it? Until Nellie decided to knock my cereal bowl onto the ground, causing a startling BANG and slices of china to whirl across the grass. As I clambered around in attempts to clear up the carnage, she sat there delicately lapping up the milk. Little minx. After the debacle of my morning meal N came to pick me up, and we headed to The White Bear in Masham for some lunch. 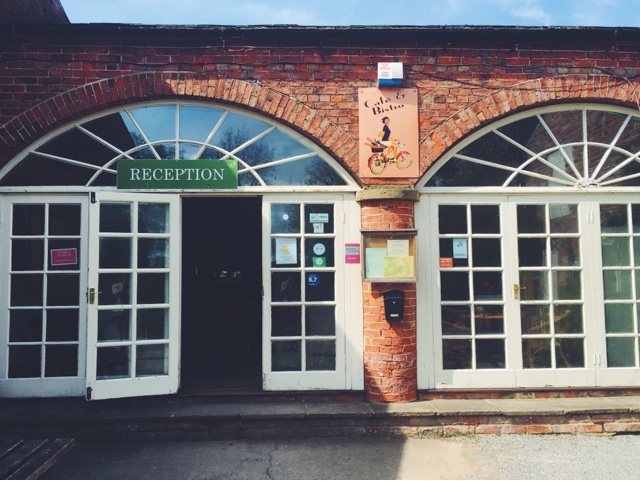 Masham is a charming little town, with a market square, sweet shops, and many an authentic pub. Men in overalls sipping amber pints, chatting gruffly. If you know where to look, in a quick stroll you can find the winding river as it rolls across the rocks. 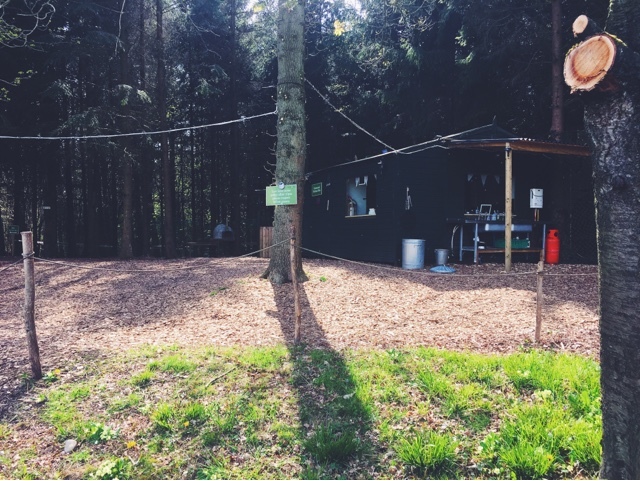 But it was approaching 3pm, which meant it was time to go check in and check out Camp Katur. Back in the car we got, to drive through the vivid yellow sea of rapeseed, and the lucid green of our countryside pasts and present. Because we’d come midweek, not on a weekend or in-season, the little cafe in the reception area was not up and running as usual. It took us a little while to track someone down to sign in, but once we did we were on our way down to our digs for the night. Through the grass we walked, eyeing up the impressive array of different styles of accommodation situated around the edges of this green paradise. 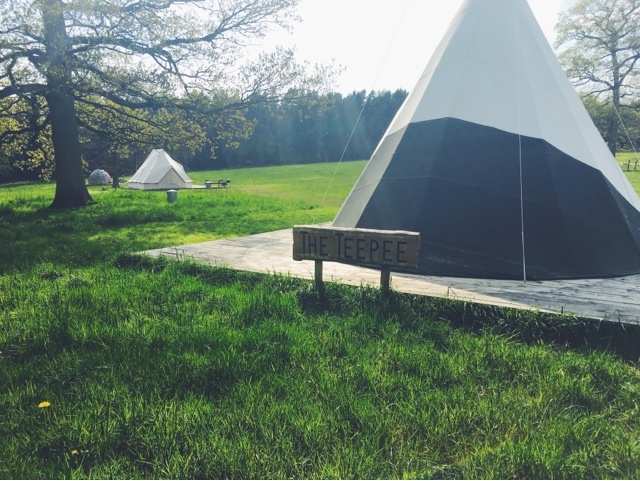 We spied Safari Tents, Tipis, Bell Tents, Hobbit Pods and Unidomes. All completely unique. All full of character. All floating in the mystical natural landscape. Over on the other side of the field, we stepped into the woodland. All I could hear was birdsong. Little creatures dancing overhead, filling the skies with their angelic melodies. 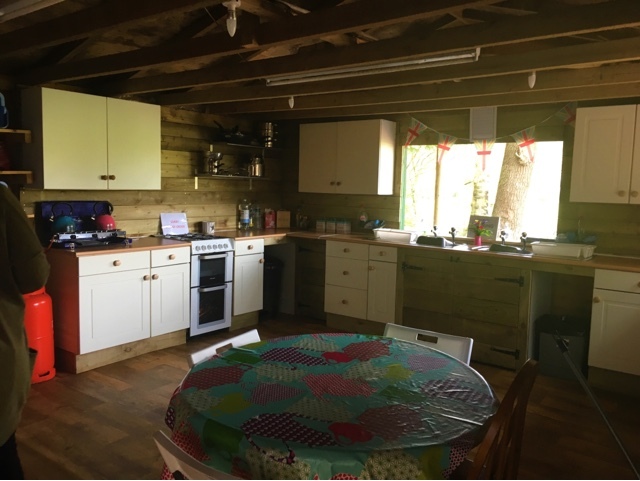 At the edge of the woods, we saw a little house we soon realised was the kitchen – complete with a sink, table, and every kind of utensil you could ever need. Bunting-lined walls hugged us with their quaintness inside this culinary station in the middle of the wild. 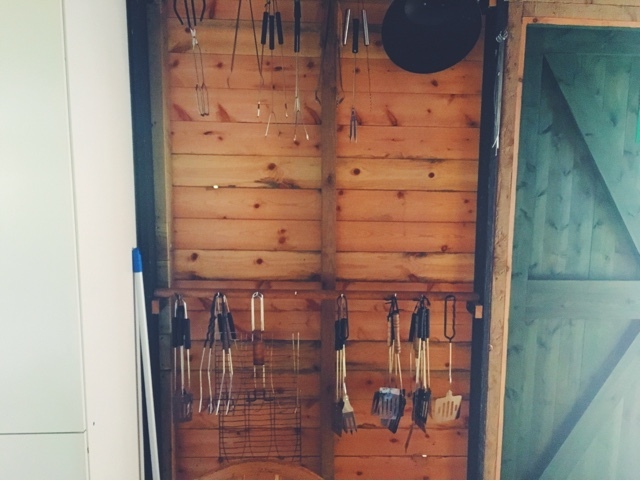 Next door, we found an outdoor barbecue area, which resembled the beer garden of a pub. I thought about how sociable this would be during the summer months, sharing slightly charred sausages and stories with other campers. Beaut. Down the beaten path we reached our little home for the night, the Woodland Hide Unidome. I’d picked it because it was unlike anything I’d ever seen. 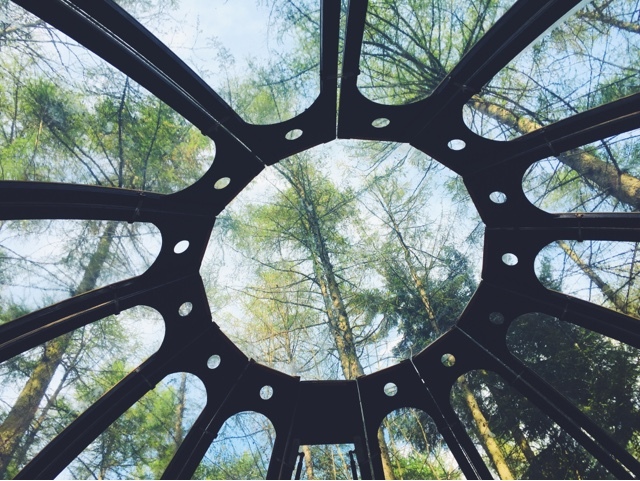 An otherworldly 360-degree clear panoramic dome, allowing you to essentially sleep luxuriously in nature. We sat there for a long while, mesmerised by the tranquility of our surroundings. Inside the dome, we found a beautifully made bed, complete with blankets, hot water bottles, along with candles and fairy lights. 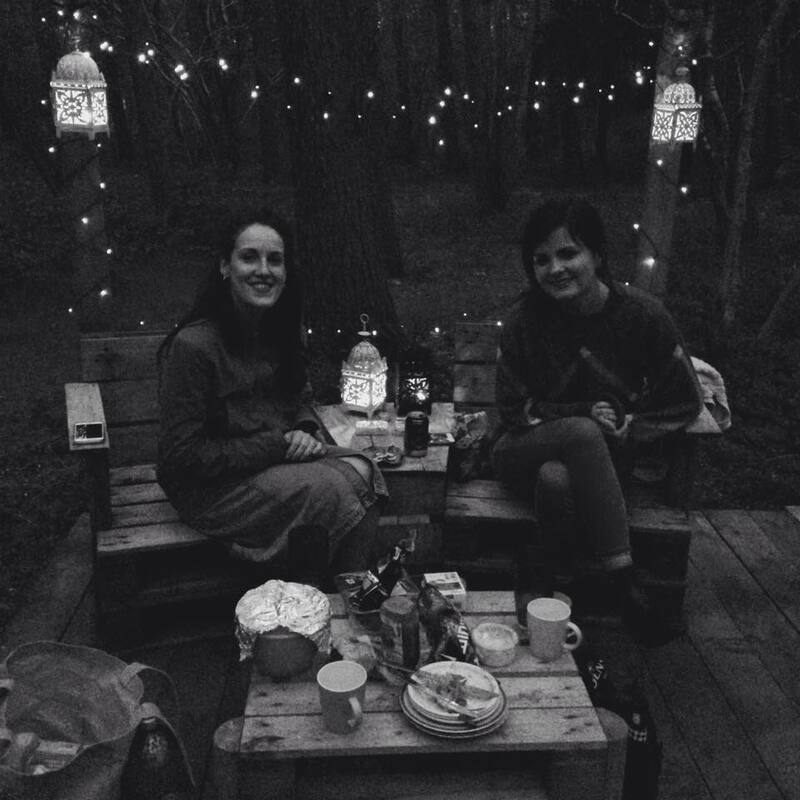 A very romantic setting for a couple of best friends, which provided quite a bit of hilarity for us. 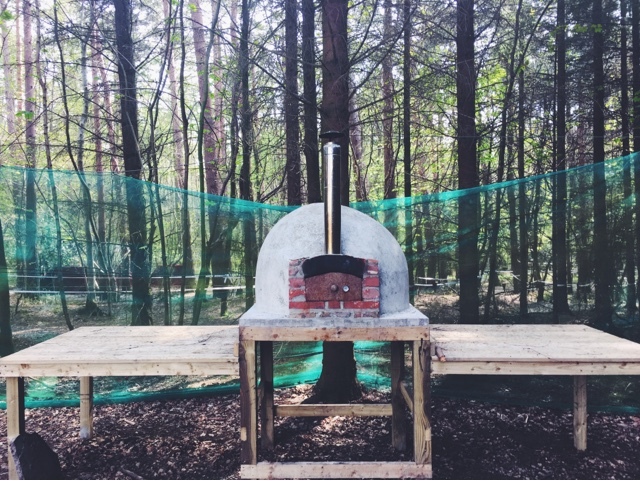 Dreamy is the only way you could describe it.This would genuinely be the most aesthetically delicious place to whisk away your loved one for a minibreak/staycation. We spent the rest of the day exploring the area. 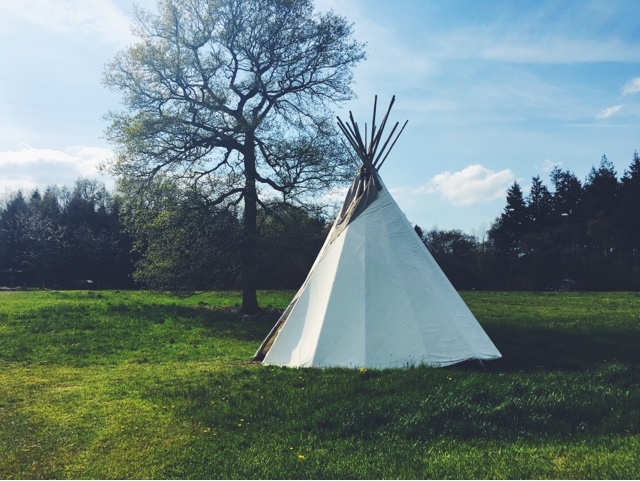 We took our books and sat in the hammocks strung from a tree near the communal tipi, closed our eyes and listened to the birds chirp-chirp-chirping. It's not often in modern life that you're presented with an opportunity to completely switch off, to fall off the grid (even if just for an afternoon). I relished being able to escape from the screen I forever hold close. Sun-soaked and hungry, we headed up the cafe to buy alfresco cooking supplies for the evening. At 7pm, a couple of our school friends that live down the road joined us as guests for a barbecqued dinner. They brought cous cous and prosecco, while we provided burgers and strawberries. We laughed A LOT, reminiscing on old times over plastic cups of bubbly. Eventually, night fell. We bid farewell to our friends. We blew out the candles, leaving the lights outside on to guide our way. We stumbled to the bathroom cabin, complete with a gorgeous shower and sinks in the style of metal buckets, and then back again (stumble being the operative word). It was really nice and warm inside the Unidome, so we definitely didn't need to use the heater. As my eyes grew heavy, I looked around at the trees smothered in the black of night. It was surreal, bizarre, almost a little scary to be that exposed to the wilderness. I quickly shook those thoughts from my head, realising what a Millennial frame of mind I was in. Scared by silence. Instead I thought about how lucky we were to have had such a beautiful, sunny stay in such a unique place. 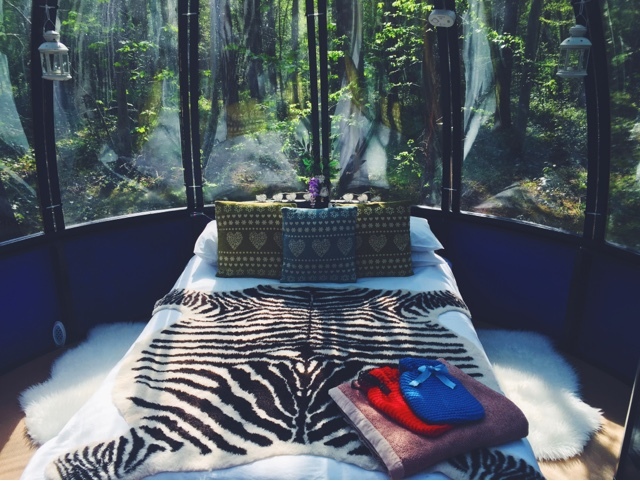 In the brightness of morning (no curtains in this dome, obvi), we were woken up a banging on the side of our see-through cocoon. We soon realised that this was a squirrel patting the plastic with his fist, as if to say: "Wake up humans! Gimme a nut!" This struck me as completely indicative of the Camp Katur experience -- so completely zen, and so completely within nature. 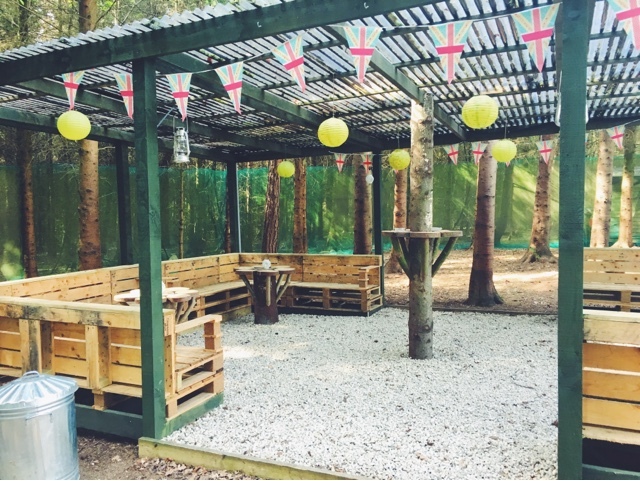 The Woodland Hide Unidome was like our own weekend Walden (on a weekday on this occasion). A place to relax, a place to unwind, a place to just be in the most beautiful of countryside. 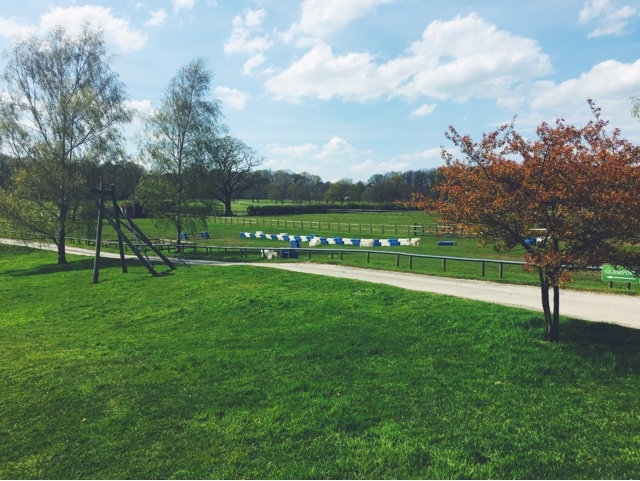 Camp Katur is based within the 250 acre Camp Hill Estate, the same place as Aerial Extreme, so there's loads of activities to do if you're wanting more of an active weekend. 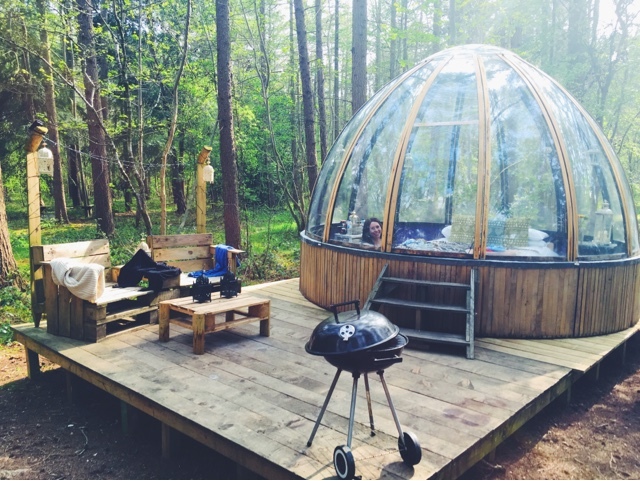 There's also an Outdoor Eco Sauna and Spa, with a wood burning hot tub. Sadly, usage of this is only on weekends and pre-booking is recommended as it can take up to 7 hours to heat, so we didn't get to experience this. I would definitely return to Camp Katur. 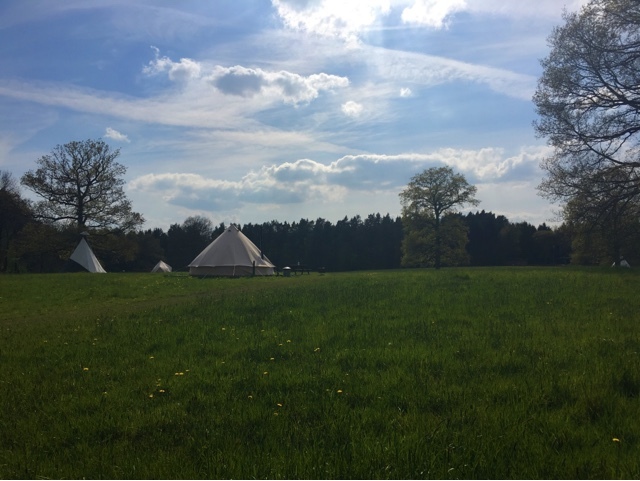 There are so many different types of accommodation, you could go ten times and have a new experience each visit. As we left the Glamping village behind, and drove through the slightly overcast Yorkshire scenery, a deer appeared up ahead. It paused and looked at us for just a moment, like a grand mirage, then disappeared into the woodland on the other side of the road. This place is truly special, I thought, smiling. Here we can see the most beautiful picture of house and i also want to the most beautiful and luxury house. But it is possible if we have the best income so i am working with it best thesis writing service for online jobs. It is best for me and like this website making our life easier.